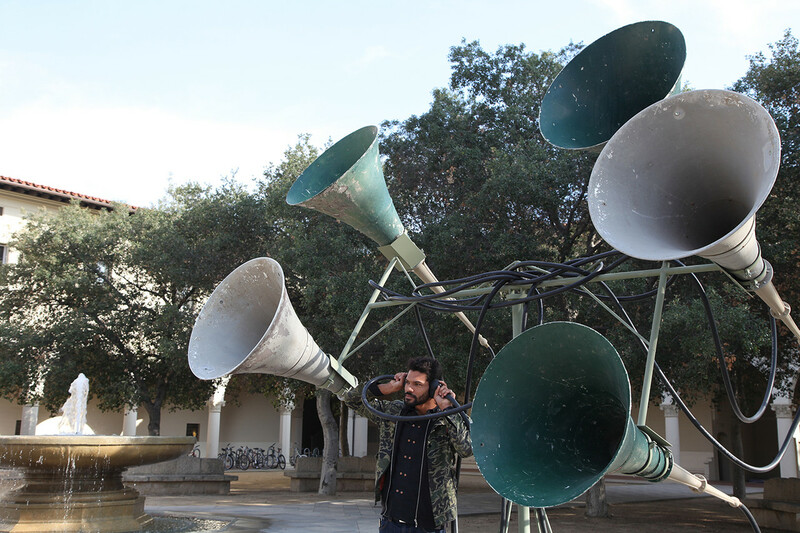 A list of the sounds that have reverberated through my body, 2013, cut photographs on paper, 18" X 24"
Villa Murmurs, 2014, cast resin sculptures and interactive listening performance at the Getty Villa. 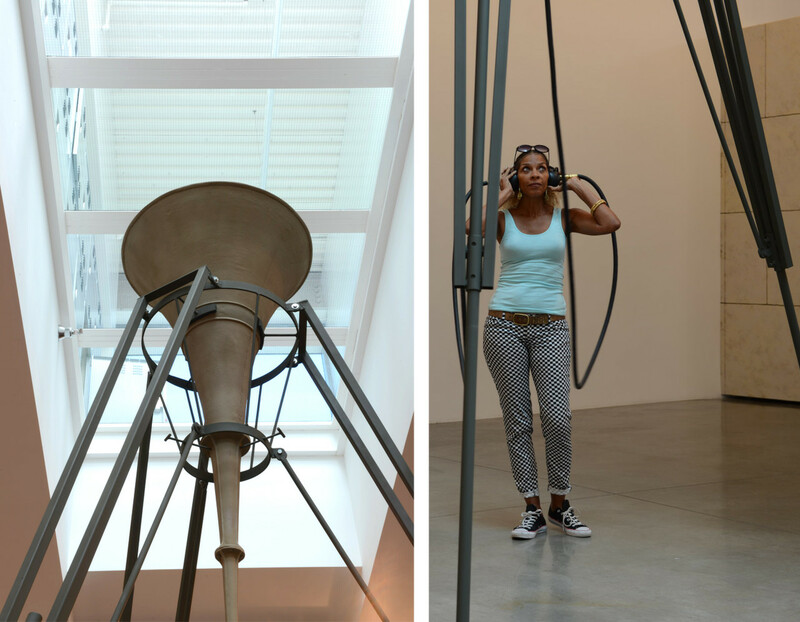 Untitled (Listening Device I), 2013, metal, wood, fiberglass, hoses, ear-cups, 216" x 144" x 27"
Listening as (a) movement, 2013, wood, satellite dishes, 20' diameter acoustic structure designed in collaboration with an acoustic engineer. (detail) Listening as (a) movement, 2013, opening participatory performance. Eternal Network News goes global, 2011-13, cut photographs on paper, 18" x 24"
(detail), Untitled (Listening Device II), 2013, metal, wood, fiberglass, hoses, 186" x 36" x 36"
Untitled (Listening Device II), 2013, metal, wood, fiberglass, hoses, 186" x 36" x 36"
Untitled (Listening Device III), 2013, metal, wood, plastic, 84" x 60" x 48"
Reflexive behavior, 2013, pigment on paper, 26" x 40"
In my artwork I make visible the unseen power of sound and listening. 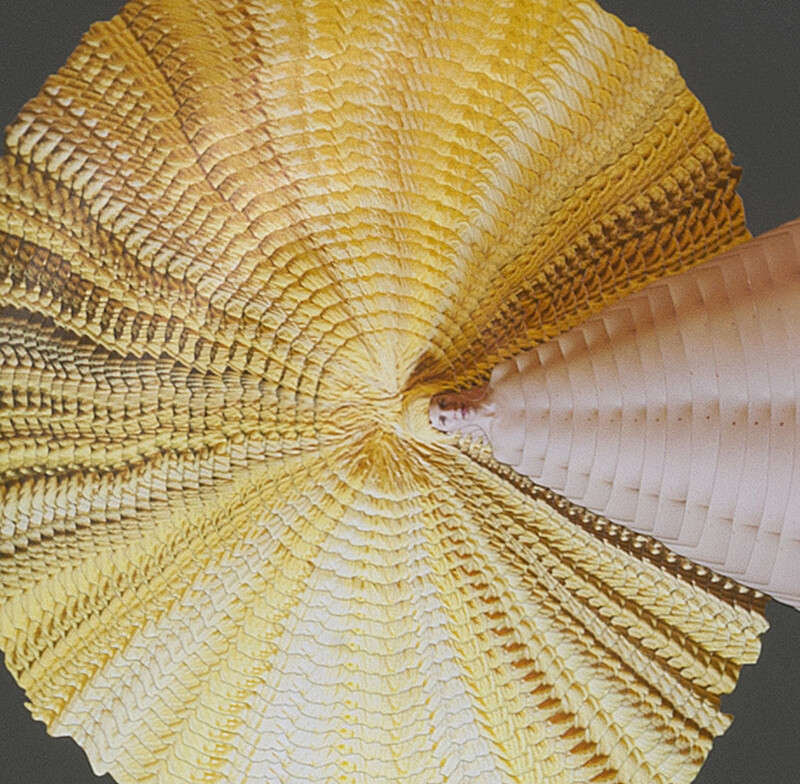 Although sound moves in invisible waves, I am fascinated with the ways sonic matter impacts our bodies/psyche in a physical and political manner. Through a range of media I explore how acts of listening, speaking and singing radically activate individuals and communities. My investigations into the history of listening technology, from nineteenth century personal hearing aids to twenty-first century military spying devices, reveal the politics of the individual and the state. In tandem with producing objects, my experimentations in making and receiving sound have expanded to diverse social contexts. I create interventions in a variety of spaces, such as economically depressed neighborhoods, cultural institutions and the internet, which alter the ways people interact with each other and their environment. My art practice offers new strategies of communication and probes the border of art and pedagogy. In my artworks I make visible the invisible power of sound and listening. My art practice considers recent transformations in communication that simultaneously offer so much potential and contain so many drawbacks. Mass movements are organizing online like never before, yet government surveillance increases; the culture of texting, emailing, posting, etc. facilitates exchange, yet encourages monologues instead of dialogues. My artworks meditate on the utopian/dystopian shifts of human communication while revealing the ways sound can move us emotionally, form deep interpersonal connections and initiate social change. 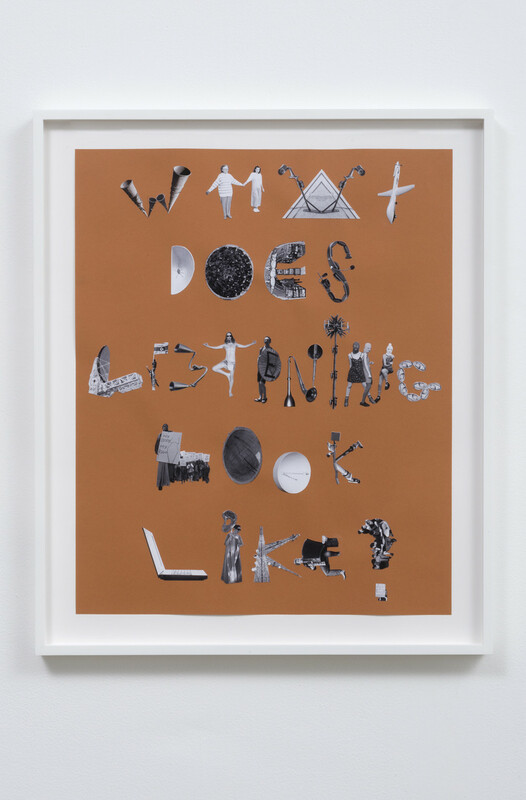 For the past few years I have been creating collages, sculpture, video and performances revolving around the question: “What does listening look like?”. My transformation of ephemeral acts of listening, speaking and singing is intended to create tension between action and object. Thus, many of my pieces are participatory or involve a viewer’s body in a variety of ways. My artworks also mine the historical, socio-political and pedagogical aspects of sound in culture. 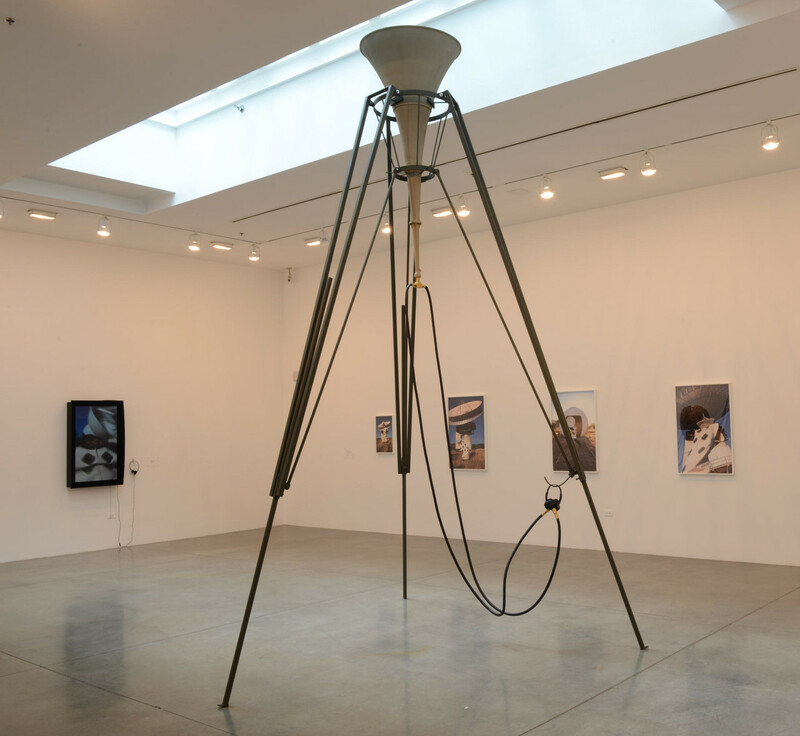 Recent sculptural works delve into the histories of sound and communication technologies, questioning how these technologies relate to contemporary political concerns. 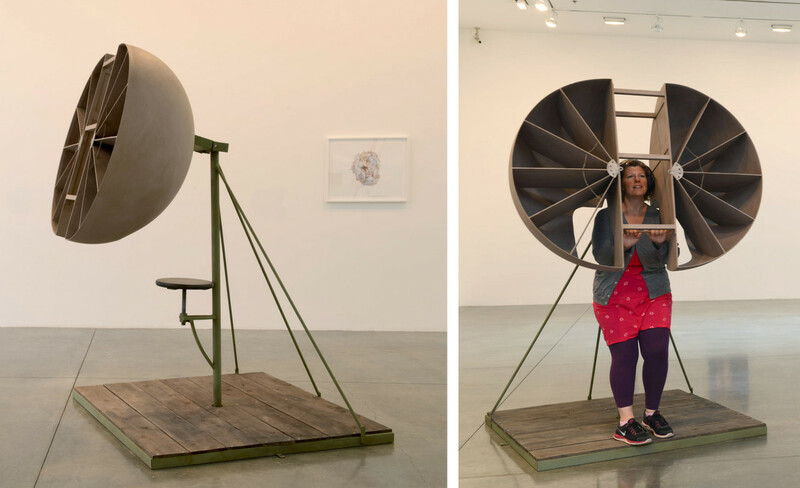 The first body of work, including the series “Untitled (Listening Device I-III)” (2013), explores pre-radar listening devices used by militaries around the world during WWI and WWII. 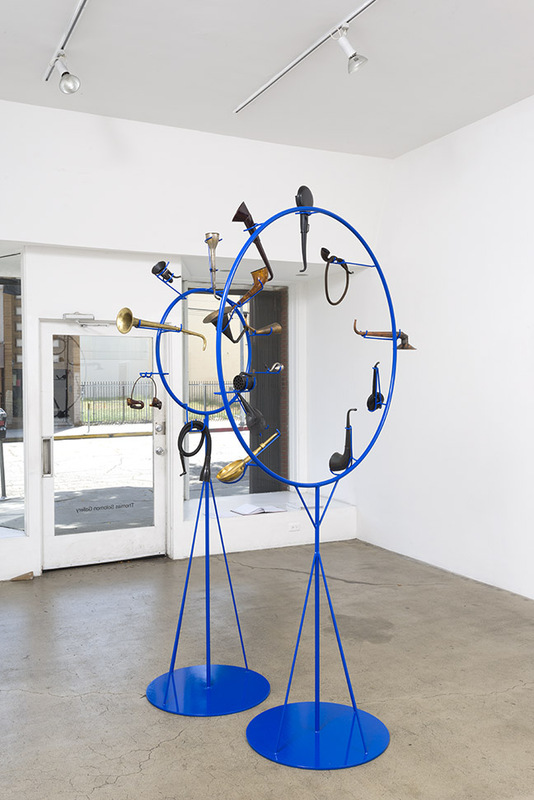 Unlike contemporary spying mechanisms, such as invisible online metadata collectors or sleekly shaped drones, the form of these tuba and horn shaped devices refer to their function. I made the sculptures by referencing archival imagery and placed them in an assortment of sites, including an art gallery, Pomona College and NW Pasadena. The diversity of locations amplified the distinct sounds of Southern California. By changing the historical moment and siting I transformed these now defunct technologies of espionage into sites for play, exchange and critique. 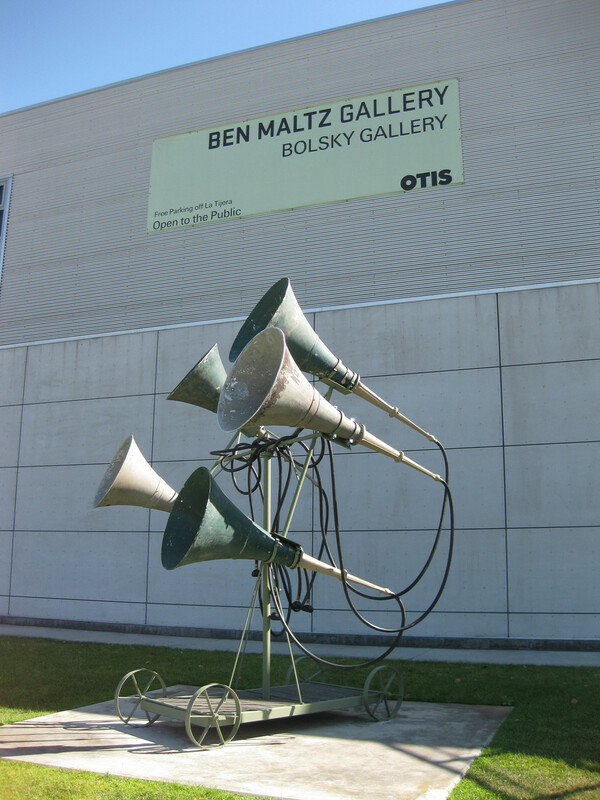 A related body of artwork brings the political into the personal sphere through the examination of individualized acoustic sculptures. 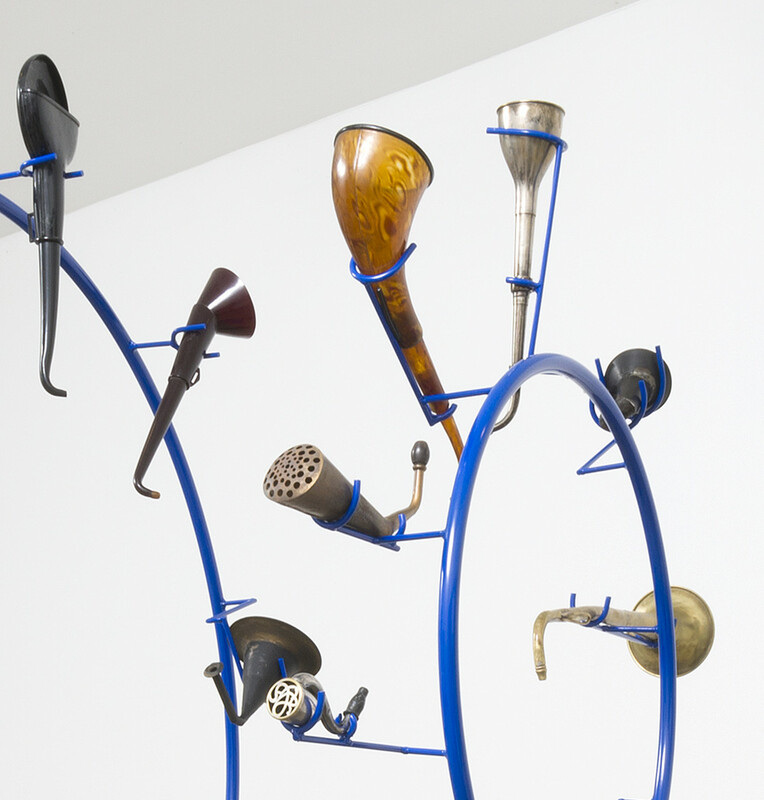 “Having a choice and having a voice, Having a voice and having a choice” (2014) includes twenty antique hearing aids from the nineteenth and early twentieth centuries, which were all designed with a particular person/ear in mind. 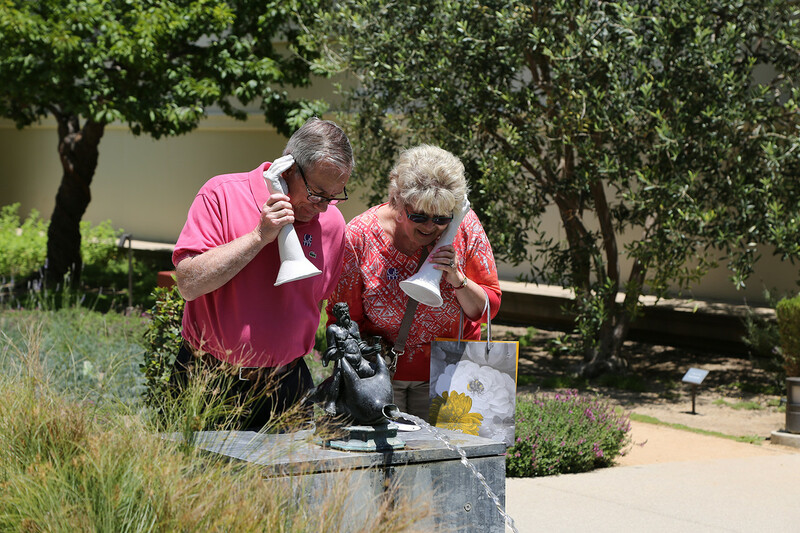 The sculptures offer the option of being a listener or speaker and display the range of forms these two roles allow. 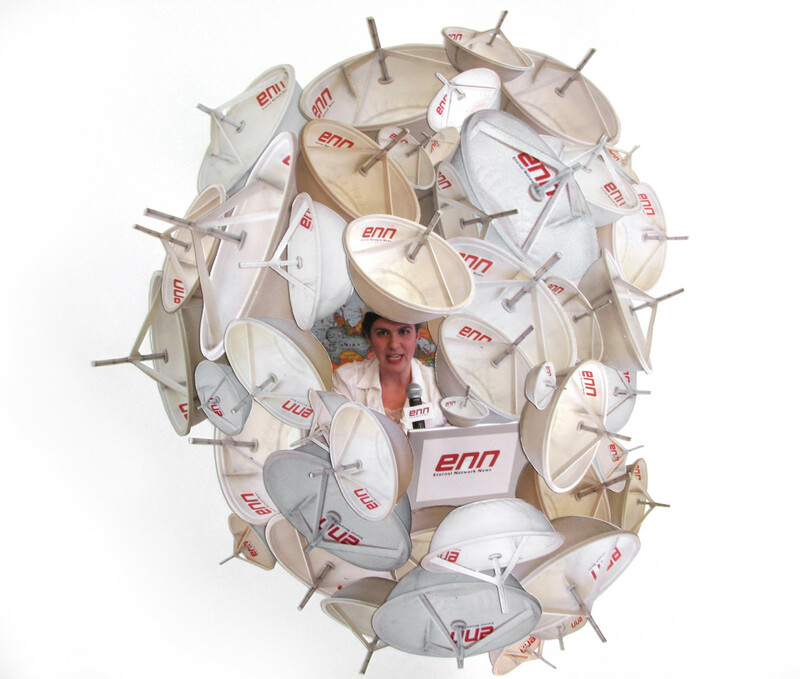 Along with the sculptures, I created a piece called “All Ears,” which was purposely not documented. I invited the general public to sign up for ten private one-on-one duration performances where I listened to a speaker in a non-judgmental way for three hours and at the end mirrored back to her/him what I had heard. Rather than acting as therapy sessions, these performances gave space to voices and words that needed to be witnessed. Along with my studio practice, my investment in promoting active (rather than passive) listening has broadened to include pedagogical and activist concerns. For the past few years I have been creating artworks geared towards specific communities and/or sites such as underserved neighborhoods, educational settings, and virtual spaces. I have developed distinct methodologies to generate public artworks that are meaningful to the communities in which they occur. Oftentimes I will partner with various groups and individuals who are embedded within the community in order to understand the complexities of the spaces in which I am working. 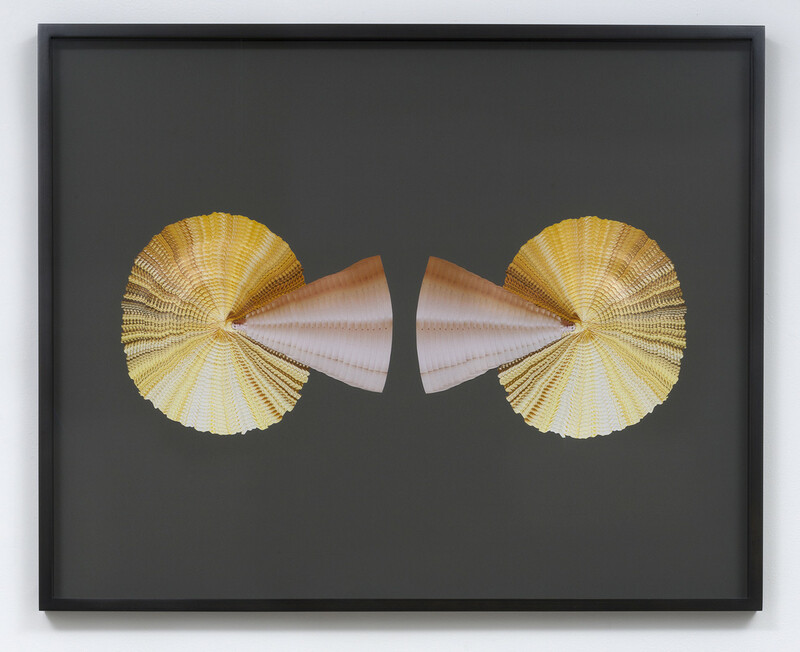 These artworks examine how attention to sound and listening can radically activate individuals and groups. 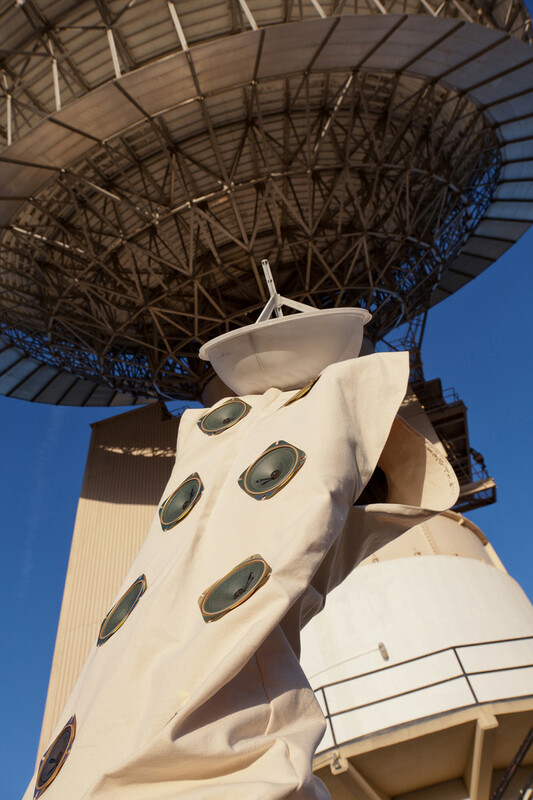 In the spring of 2013 I initiated a series of large-scale temporary public art projects, which explore the power of active listening and foster community engagement through participatory performance and sculpture. 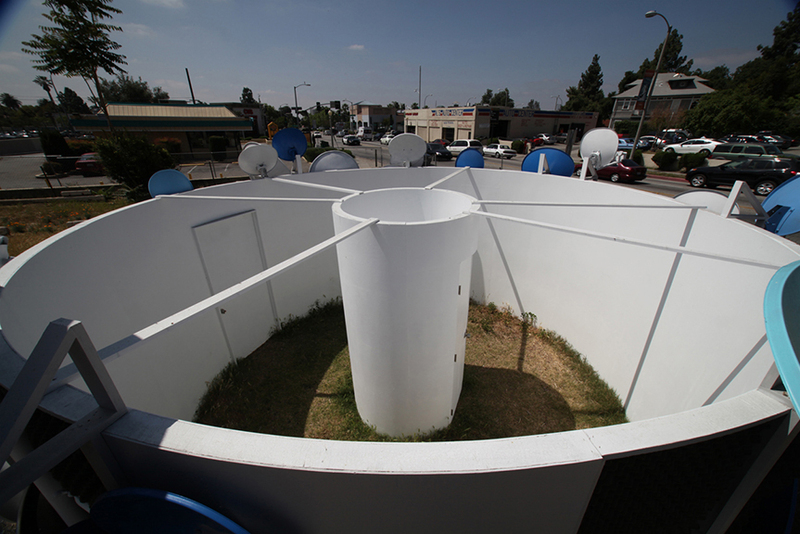 The first piece in this series, “Listening as (a) Movement” (LAAM) (2013), was commissioned by Side Street Projects (SSP) a non-profit based in the economically impoverished neighborhood of NW Pasadena. I created this artwork in response to the needs of NW Pasadena, a place where residents felt like their voices were not being heard. For seven months, I attended community meetings, neighborhood functions and spoke with local residents. 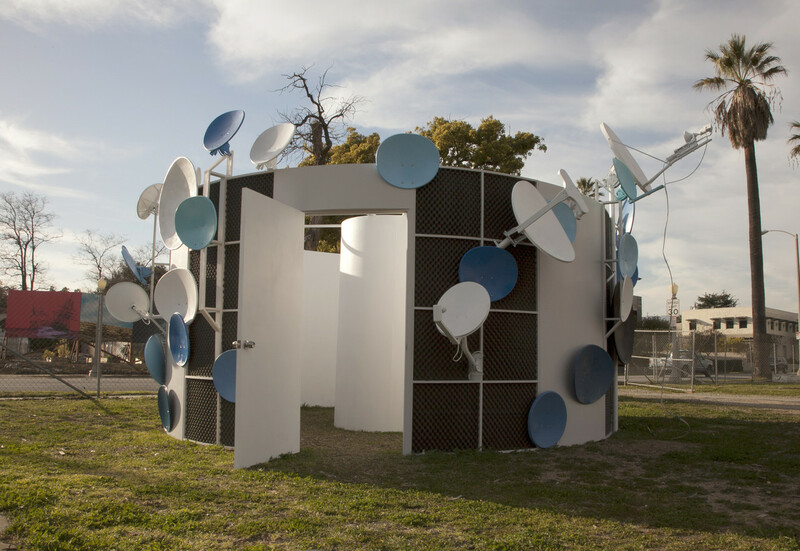 After the research and development period I built three acoustic sculptures at SSP’s headquarters, located in an open lot on a major thoroughfare, and programmed five events to activate the sculptures. I organized each event with community partners, which led to workshops, participatory performances and civically oriented conversations. Thus, “LAAM” served as an empowering device amplifying real concerns and questions of local residents. As a direct result of the project, various safety measures and youth programming were implemented in the neighborhood. 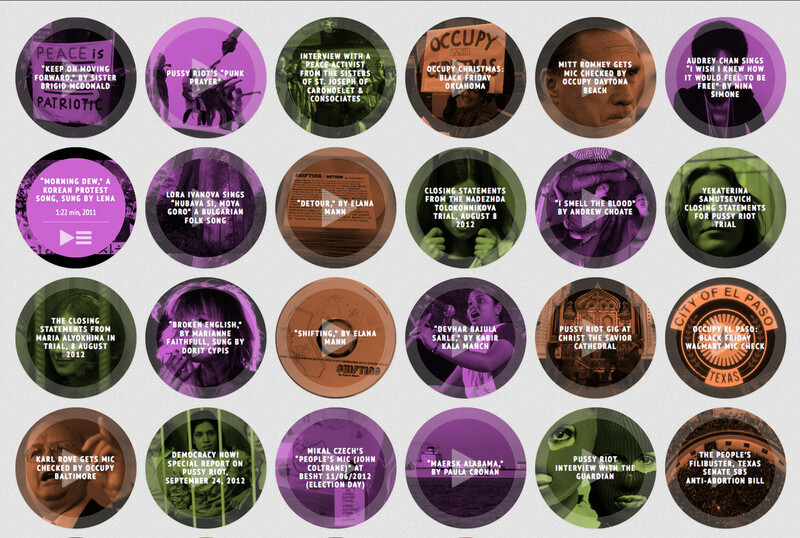 From a public space to a public sphere of another kind, “Resonate, Reverberate, Roar” (re-re-roar.org) (2013-present), is a web archive of sounds of resistance, which grew out of a residency at St. Catherine University in St. Paul, MN. St. Catherine University was founded by the Sisters of St. Joseph of Carondelet and Consociates who are known for their political radicalism. I organized students to interview the Sisters and then created re-re-roar.org to house a larger archive, which contains socially progressive recordings of speeches, experimental music, field recordings, interviews, etc. Visitors to the website can submit their own politically potent sounds, listen, or download the archive. Re-re-roar.org is a site for activ[ist] listening, with the purpose of distributing sounds of resistance to eager ears around the globe engaged with the common space of the internet. Currently, I am working on a body of artwork stemming from the piece “Villa Murmurs” (2014), commissioned by the Getty Villa. For “Villa Murmurs,” I produced newly designed acoustic sculptures to explore the grounds of the museum, which served as interventions into the normative experience of the museum. I am continuing this series of artworks that offer new strategies of making and receiving sound, probing the boundaries of art, pedagogy and political action. “Storefront Video,” Transformer Gallery, Washington D.C.
“Women Represented,” ArtLab + Film Forum, Hirshhorn Gallery and Sculpture Park, Smithsonian Museum, Washington, D.C.